What is Indian Aviation Academy? Ndian Aviation Academy is training institute under the aegis of NIAMAR Society. National Institute of Aviation Management and Research(NIAMAR-Society) is society registered under the Societies Act 1860 on 22nd July, 2010.
Who does own NIAMAR Society? There are three equal stakeholders in NIMAR Society named Airports Authority of India, Directorate General of Civil Aviation and Bureau of Civil Aviation Security. What do these three stakeholder do? Airports Authority of India (AAI) is the largest airport operator in India, who constructs, operates and maintains airports in India. AAI is a PSU of Ministry of Civil Aviation. Directorate General of Civil Aviation and Bureau of Civil Aviation Security are regulatory bodies of Ministry of Civil Aviation. DGCA looks after aviation Safety whereas BCAS looks after aviation security. What type of trainings are imparted at IAA? All types of aviation related trainings are imparted at IAA except Air Navigation Services (ANS). These includes aviation safety, aviation security, operations, engineering, HR, Finance, General management, dangerous good regulation (DGR), Hindi, RTI, IT, law, ICAO STPs, ICAO Fellowship programs etc. Who does provide ANS training in India? Civil Aviation Training College, Prayagraj, UP provides ANS in India. How can I join IAA training program? IAA does not entertain trainees in individual capacity. IAA' s trainings are mainly meant for working professional hence they have to come through their employer only. However, few courses run in association with IATA can have individual participant without going through their employer. How do I come to know about various training programs of IAA? One can visit training calendar section of IAA’s website, where annual training calendar is available for whole year. Are training's of IAA are residential? IAA has both the options available. It has got ample hostel space which can host 100 participants at a time. Are training's of IAA are accredited by some authority? Yes. DGR trainings are accredited by DGCA, Security trainings are accredited by BCAS. 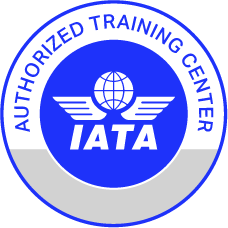 ICAO STP and fellowship programs are accredited by International Civil Aviation Organization (ICAO). MDP courses are accredited by various leading management institutes. Other programs are accredited by IATA, ACI etc.